'Clear message' on stop and search Jump to media player Police stop and search powers are to be overhauled with a revised code of practice, Home Secretary Theresa May has announced. Stop-and-search ban considered Jump to media player The Met Police commissioner has said he considered banning the stop-and-search tactic, to help improve community relations. Changes to stop and search delayed Jump to media player Plans to limit police stop and search powers in England and Wales have been held up by "regressive" attitudes in Downing Street, Newsnight is told. Stop and search 'reduced by a third' Jump to media player The commissioner of the Metropolitan Police, Sir Bernard Hogan-Howe, says significant reforms on stop and search are being implemented on the ground. Newsbeat spent a day with the police Jump to media player As the government's stop and search consultation comes to an end, Newsbeat spent a day with police to find out what happens. Youth views on stop and search plans Jump to media player Police have shown Newsbeat plans to make 'stop and search' less confrontational. What do teens in south London think? What happens during stop and search? Jump to media player Two police officers demonstrate how a stop and search should be conducted. 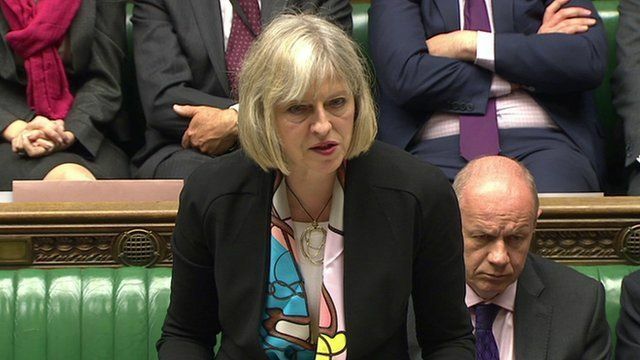 Police stop and search powers are to be overhauled with a revised code of practice, Home Secretary Theresa May has announced. She told MPs that a review ordered by the Government showed that officers did "not have reasonable grounds" to intervene in more than a quarter of cases.